Craft sticks are one of the ultimate tinker center and makerspace items. 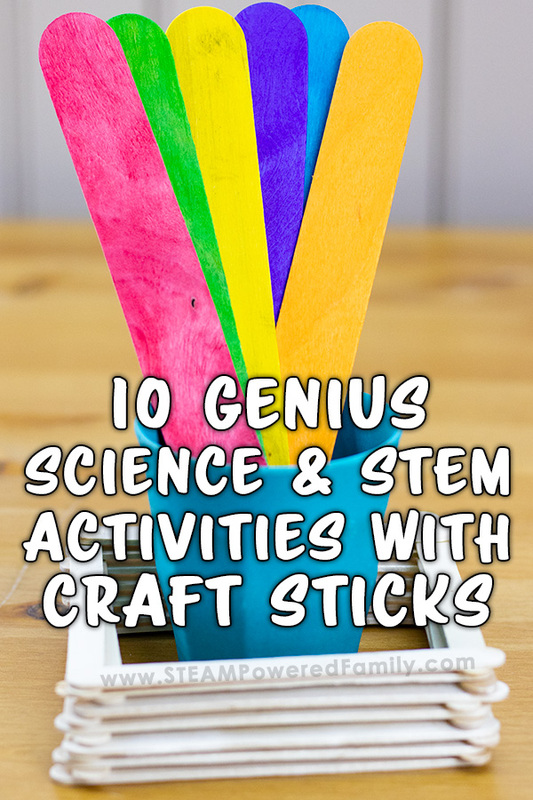 Seriously, if you have ever set up one of these centers in your home or classroom, the first thing you do is go to the dollar store and load up on craft sticks. They are so useful! It is crazy how many projects you can do with these handy little items. Still not sure? 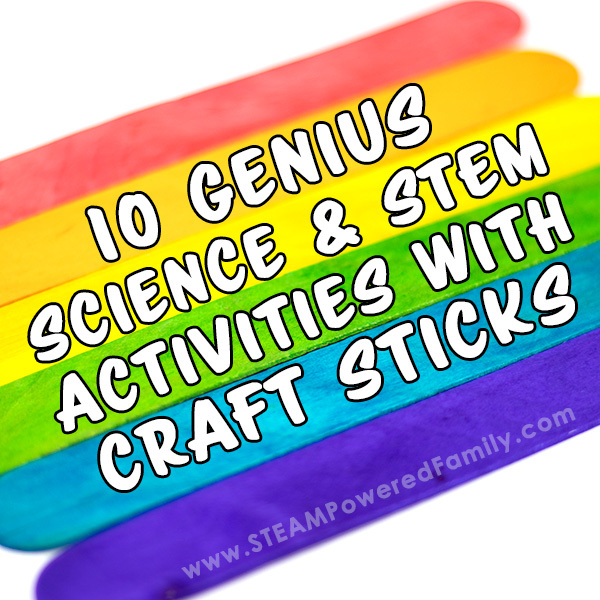 Check out these ten genius science and STEAM activities using craft sticks. When my kids saw them doing this Exploding Craft Sticks activity on Big Bang Theory, they thought it was the coolest thing EVER! They immediately wanted to try it themselves. It’s like dominoes but with a much more spectacular result! And if you want to try a smaller version, check out this activity building stick bombs. For your physics and reaction loving kids, this one is going to be a huge hit! 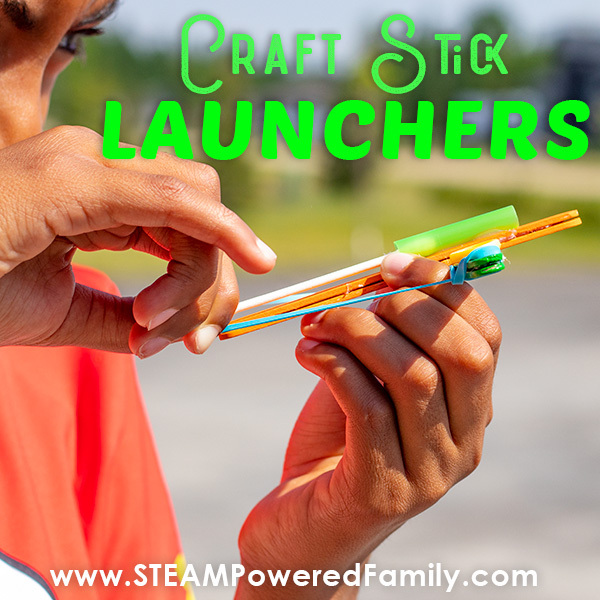 One of our favourite projects this year was building these awesome craft stick launchers. Not only are they a great engineering project but you can use your launchers to explore physics and develop fine motor skills. This activity challenges kids to build bridges of various sizes and structures to see what creates the strongest bridge and the longest bridge. Great activity for little ones. But don’t forget, older kids can learn a lot from bridge building challenges too. Think bigger, more complex and give them bigger goals. Then challenge them to problem solve and create a workable solution like in this Da Vinci inspired Challenge. Craft sticks make an excellent tool in learning how to build simple circuits. 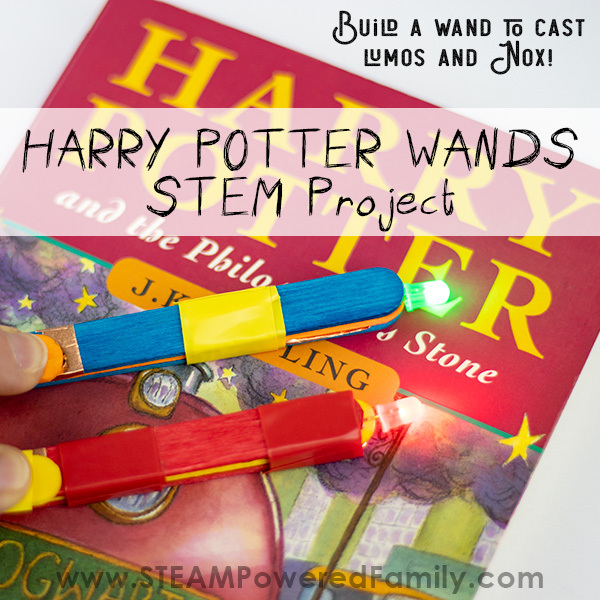 With this project we are embracing our love of Harry Potter and creating wands that light up. Since they include a natural circuit break for an on/off switch, kids can cast LUMOS! and NOX! like wizards! Bring a little music to your lessons with these DIY Harmonicas created using craft sticks. It’s a great activity to teach some engineering and about the science of sound waves. 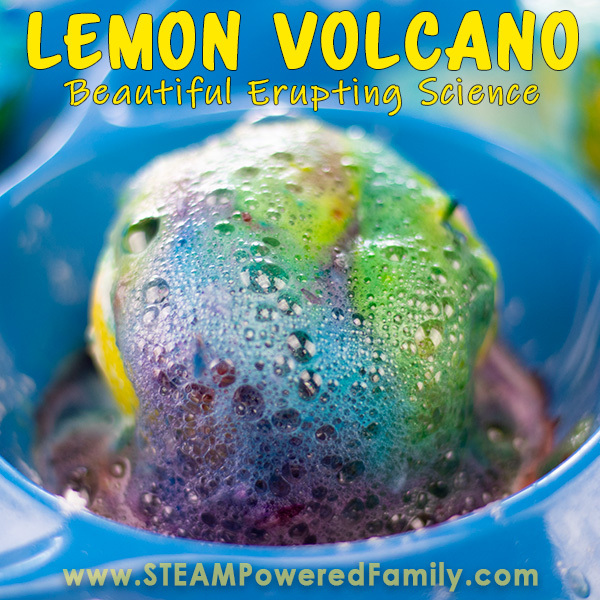 This is a gorgeous science experiment that smells AH-MAZING! The craft sticks help to trigger the reaction by bringing the acids and bases together in our Lemon Volcano. The use of the craft sticks is a great fine motor strengthening and practice that kids won’t even notice as they see the gorgeous eruptions caused by the repeated poking of the lemons. This is a fun engineering challenge that can be adapted for different levels. Here you can learn a simplified version for younger students. But let your older kids at the tinker bin and challenge them to build bigger, faster, better Rubber Band Cars. You will be amazed what they come up with! This activity comes from STEAM Play Learn, the same book that gave us the awesome Salt Circuit Activity. My oldest is obsessed with his Newton’s Cradle, so this build is going on our ‘must do’ list. This is a fun activity using frozen watercolours to create beautiful art. Suitable for all ages, it is a simple activity with tons of play value to encourage kids to release their creative genius. One of the most basic and simple ideas to construct using craft sticks is the good old catapult! I think everyone built one of these as a kid and our next generation loves it too! We like to launch marshmallows with ours. For younger kids, a quick and easy activity is to use craft sticks to create designs and patterns. All you need is a bunch of craft sticks. Add a few magnets and you can up the fun! Especially if you have a metal lunch box or other metal surface for them to work on. With this idea you can create a busy bag, an art project or a math activity center. Craft sticks are one of the greatest tools any parent or teacher can have in their inspiration or tinker box. It amazes me all the creative ways they can be used. From helping with science experiments, to engineering feats, to helping as a math manipulative. Craft sticks are a must have item!